WILLEMSTAD – The award ceremony of the Stars of the Industry 4th quarter of 2016 was held at CHATA member Blessings restaurant. During this event, the 4th Quarter employees and supervisors nominated by a variety of CHATA members were recognized and celebrated. 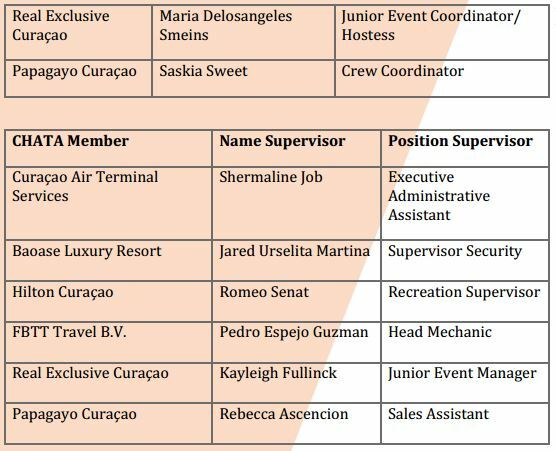 Each quarter CHATA focuses on a different personal quality a person has that brings out the best in them while working in the hospitality/tourism industry. The focus of this quarter is Dependability. Having a staff of dependable employees and supervisors helps your business run more smoothly and ensures that tasks are seen through to completion. Dependability goes hand in hand with the passion and commitment employees give to their company. Additionally, CHATA also presented the Stars of the Industry award to 6 students from Juan Pablo Duarte who volunteered and assisted during the Flavors of Curaçao 2016. 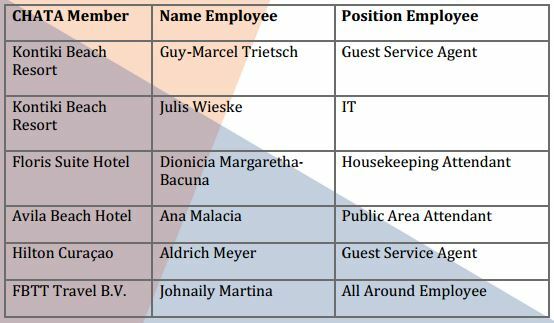 Their names are: Jurien Angelista, Javier Petronilla, Shuvensley Garnette, Maria Floris, Darlene Celestijn and Jidion De Lima.